The iPad Pro 12.9 is a brand spanking new device that marks the foray of Apple into a new segment of tablet devices. 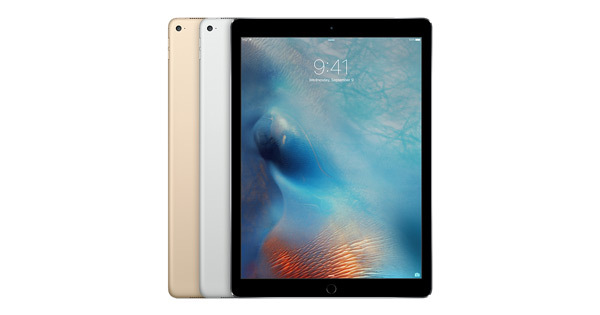 The Apple iPad Pro sports a large 12.9-inch display and loads of processing power. Apple is targeting the iPad Pro 12.9 at creatives, professionals and expects the Pro to entirely replace the laptop/PC. The Apple iPad Pro 12.9 is pretty expensive for a tablet device with the base-model priced at $799 and the top-of-the-range model priced at $1079. 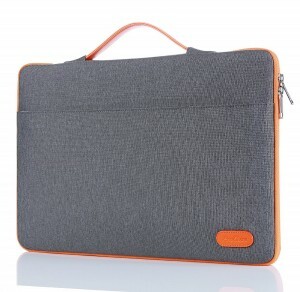 A good tablet case/cover is a must have and protects the iPad Pro 12.9 from accidental drops, bumps and scratches. Listed below are the top 10 best Apple iPad Pro 12.9 cases and covers. 1. 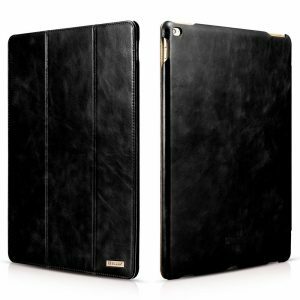 Kavaj Apple iPad Pro 12.9 Leather Case Cover: The Kavaj Apple iPad Pro 12.9 Leather Case Cover is the most luxurious case you could get for your brand new iPad Pro 12.9. The Kavaj Apple iPad Pro 12.9 Leather Case Cover is custom made from high quality genuine leather and features an Apple Pencil holder, document pocket. The case also provides two viewing angles. 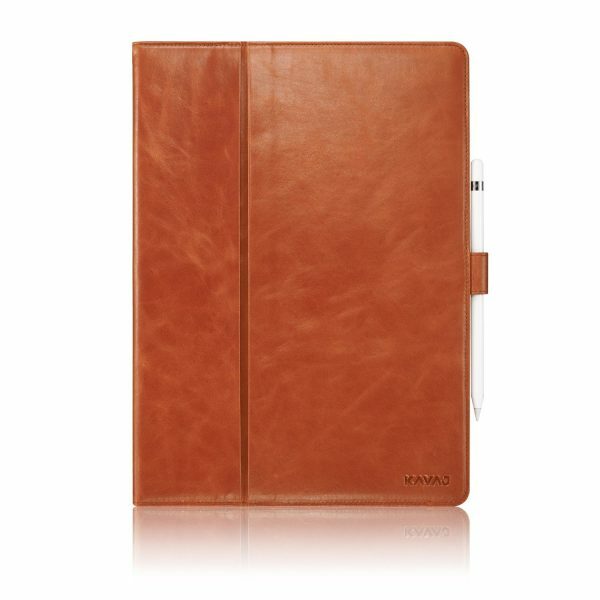 The Kavaj Apple iPad Pro 12.9 Leather Case Cover is available in 2 colors. 2. 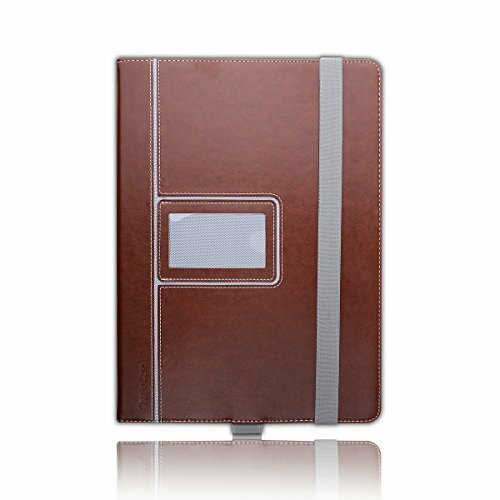 Icarercase Vintage Series Apple iPad Pro 12.9 Flip Cover Folio Case: The Icarercase Vintage Series Apple iPad Pro 12.9 Flip Cover Folio Case is handcrafted from premium leather and has a vintage style. The case is ultra-slim, supports auto wake/sleep feature and provides two viewing angles. The Icarercase Vintage Series Apple iPad Pro 12.9 Flip Cover Folio Case is available in 3 colors. 3. Urban Armor Gear Apple iPad Pro 12.9 Case: If protection is your top priority, the Urban Armor Gear Apple iPad Pro 12.9 Case is the #1 choice. The impact resistant core and soft rubberized bumpers protect the iPad Pro 12.9 from drops, bumps and shock. The very versatile aluminum stand provides a total of 6 different viewing angles. 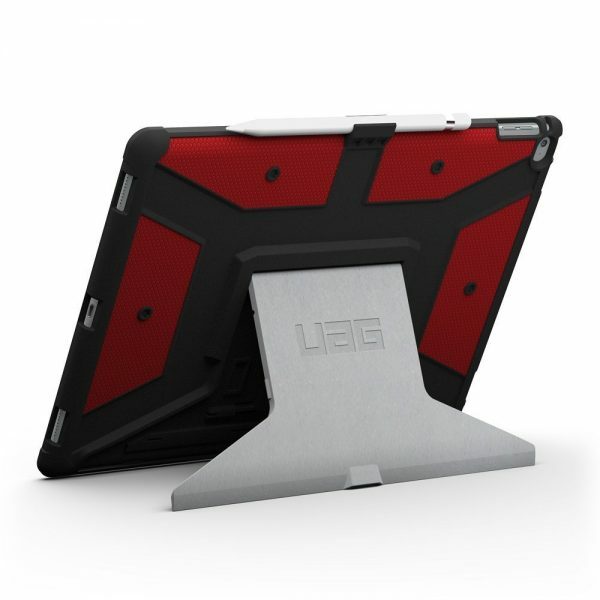 The Urban Armor Gear Apple iPad Pro 12.9 Case is available in 3 colors. 4. Devicewear Ridge Apple iPad Pro 12.9 Case: The Devicewear Ridge Apple iPad Pro 12.9 Case is slim and made from vegan leather. The features include smart auto wake/sleep, magnetic closure and 6 viewing angles. The Devicewear Ridge Apple iPad Pro 12.9 Case is available in 3 colors. 5. Supcase Unicorn Beetle Pro Series Apple iPad Pro 12.9 Case: The Supcase Unicorn Beetle Pro Series Apple iPad Pro 12.9 Case is impact resistant, shock absorbent and provides rugged 360-degree protection. 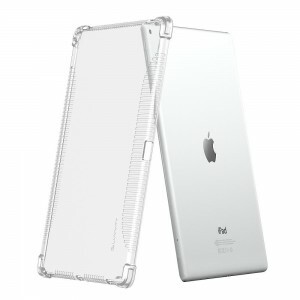 The case also features a built-in screen protector and a built-in kickstand. The Supcase Unicorn Beetle Pro Series Apple iPad Pro 12.9 Case is available in 3 colors. 6. 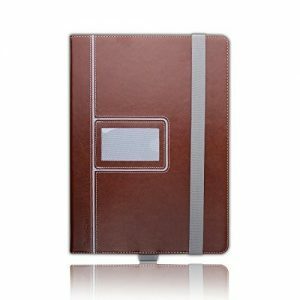 ProCase Apple iPad Pro 12.9 Leather Stand Folio Case Cover: The ProCase Apple iPad Pro 12.9 Leather Stand Folio Case Cover is a very good looking premium case. 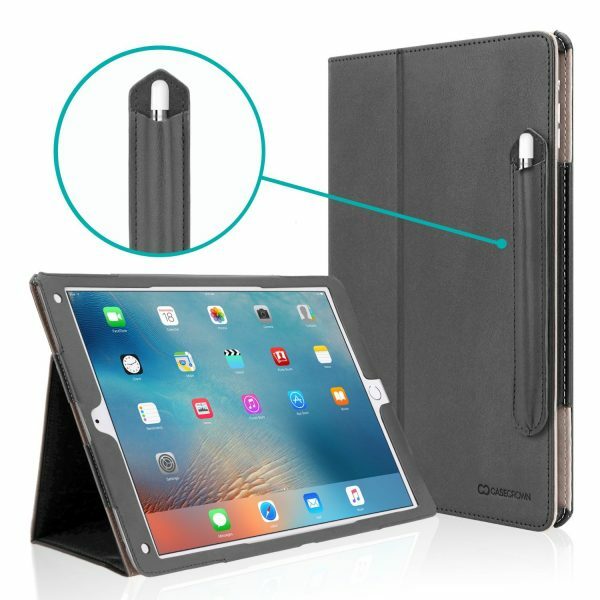 The ProCase Apple iPad Pro 12.9 Leather Stand Folio Case Cover supports smart auto sleep/wake feature and multiple viewing angles. The document pocket is handy too. 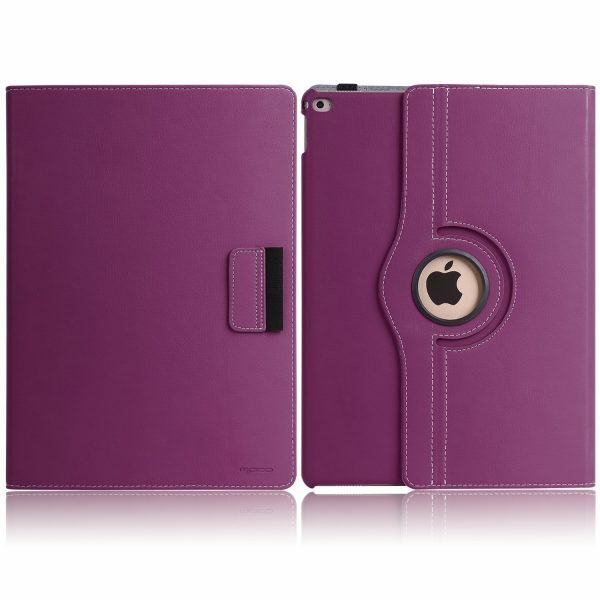 The ProCase Apple iPad Pro 12.9 Leather Stand Folio Case Cover is available in 4 colors. 7. Gumdrop Cases Apple iPad Pro 12.9 Case: The Gumdrop Cases Apple iPad Pro 12.9 Case is made from silicone and is highly durable. 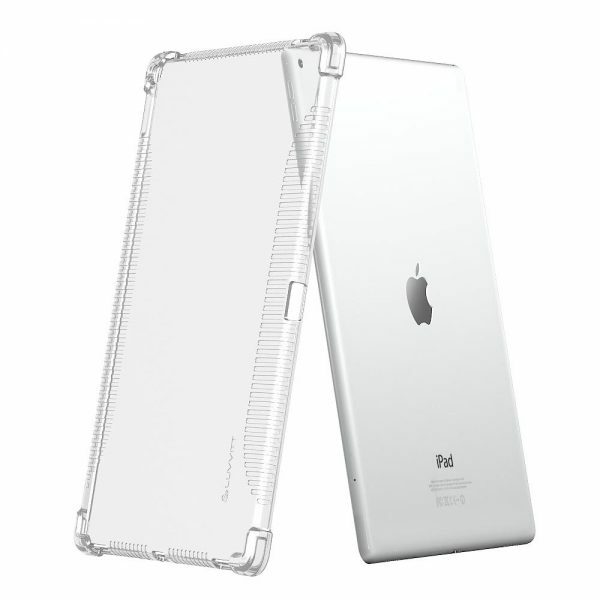 The case features an Apple Pencil slot and a built-in multi-angle hideaway stand. 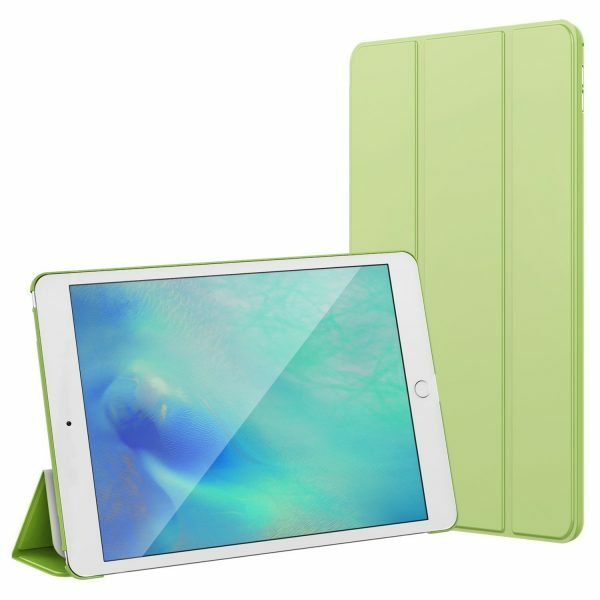 The Gumdrop Cases Apple iPad Pro 12.9 Case is available in 3 colors. 8. Thankscase Apple iPad Pro 12.9 Rotating Wallet Case Cover: The Thankscase Apple iPad Pro 12.9 Rotating Wallet Case Cover is stylish, yet, functional. A 360-degree rotating swivel lets you change the orientation of the iPad Pro 12.9. A elastic hand strap offers a secure grip and a holder secures the Apple Pencil. 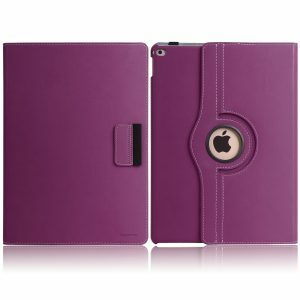 The Thankscase Apple iPad Pro 12.9 Rotating Wallet Case Cover is available in 6 different colors. 9. 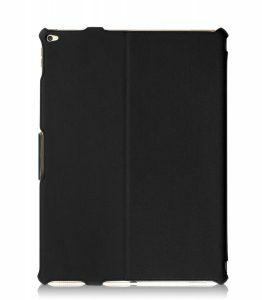 Snugg Apple iPad Pro 12.9 Smart Case Flip Cover: The Snugg Apple iPad Pro 12.9 Smart Case Flip Cover is made from premium PU leather and comes with a lifetime guarantee. The case functions as a built-in multi-angle stand and the elastic hand strap lets you securely hold the device. 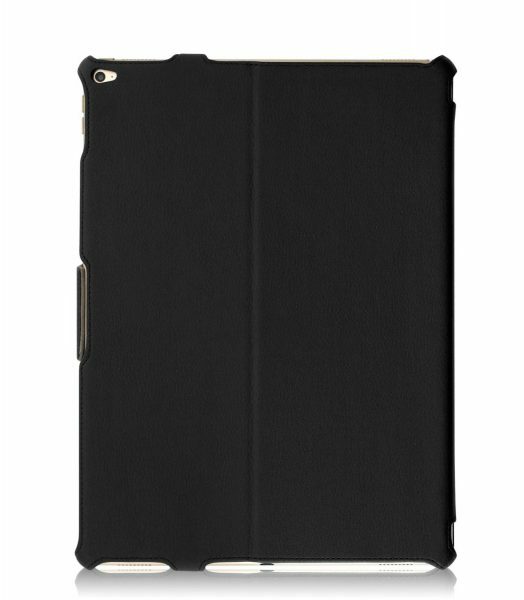 The Snugg Apple iPad Pro 12.9 Smart Case Flip Cover is available in 2 colors. 10. 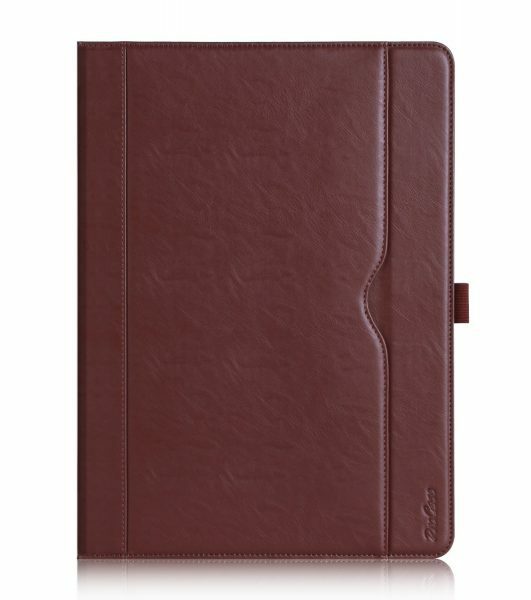 CaseCrown Bold Standby Pro Apple iPad Pro 12.9 Case: The CaseCrown Bold Standby Pro Apple iPad Pro 12.9 Case is made of water resistant PU leather. The case offers two viewing angles, an Apple Pencil holder and an elastic hand strap. 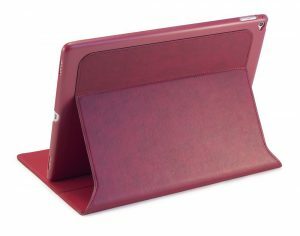 The CaseCrown Bold Standby Pro Apple iPad Pro 12.9 Case is available in 4 colors. 11. 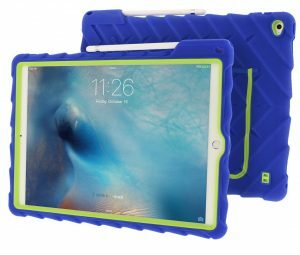 JETech Apple iPad Pro 12.9 Smart Case Cover: The JETech Apple iPad Pro 12.9 Smart Case Cover is slim, lightweight and easy to install/remove. The case supports multiple viewing angles and smart auto sleep/wake feature. 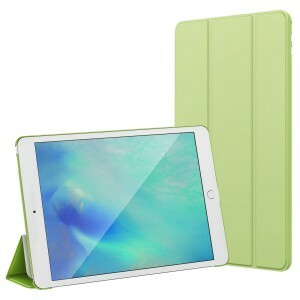 The JETech Apple iPad Pro 12.9 Smart Case Cover is available in 4 colors. 12. Moko Apple iPad Pro 12.9 360-Degree Rotating Case: View your iPad Pro 12.9 in landscape or portrait orientation with the Moko Apple iPad Pro 12.9 360-Degree Rotating Case. The case also supports smart auto sleep/wake feature. The Moko Apple iPad Pro 12.9 360-Degree Rotating Case is available in 11 different colors. 13. 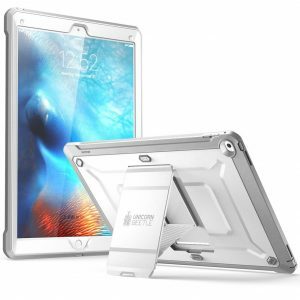 Luvvitt Clear Grip Transparent Back Cover for Apple iPad Pro 12.9: The Luvvitt Clear Grip Transparent Back Cover for Apple iPad Pro 12.9 is made from flexible, durable, soft TPU material. The case provides excellent grip and uses air cushion technology to protect the iPad Pro 12.9 from drops. 14. ProCase Apple iPad Pro 12.9 Sleeve Cover Protective Carrying Case: The ProCase Apple iPad Pro 12.9 Sleeve Cover Protective Carrying Case lets you easily and conveniently carry the iPad Pro 12.9 around. The case also has a front pocket for all your accessories. 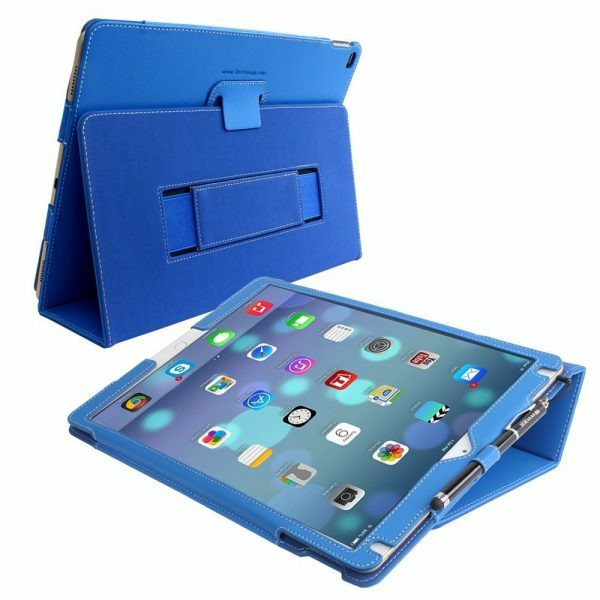 The ProCase Apple iPad Pro 12.9 Sleeve Cover Protective Carrying Case is available in 2 colors. 15. Khomo Apple iPad Pro 12.9 Executive Case Cover: The Khomo Apple iPad Pro 12.9 Executive Case Cover is a slim-fitting case that offers all-around protection to your device. The interior hand strap lets you securely hold the large iPad Pro 12. 9 and the multi-angle stand is a huge convenience. These are the top 10 best Apple iPad Pro 12.9 cases and covers. 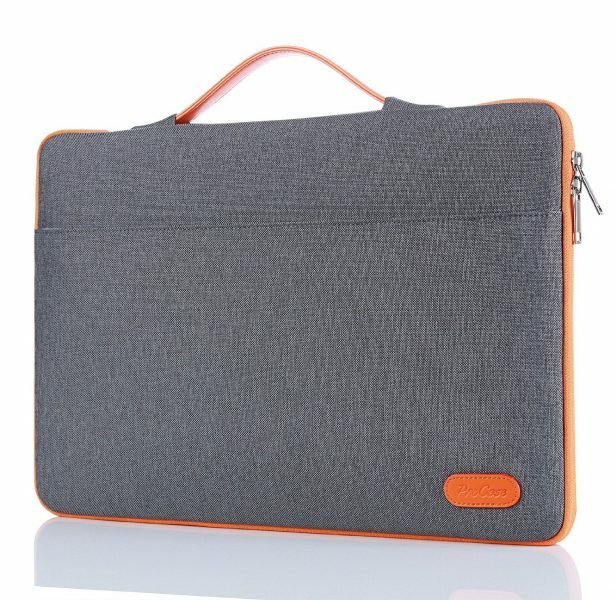 Do let us know through the comments section if you find other good iPad Pro 12.9 cases/covers.